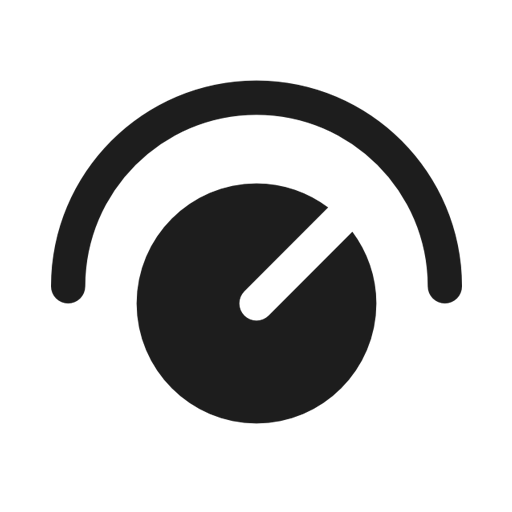 One rarely known but sometimes serious side effect of using controllers in clubs is jog wheel vibration. Without a motorized platter, some jog wheels can start to move in unwanted ways when introduced to heavy vibration. Unfortunately, big bass is a required environmental conditions of most clubs. This is not common to all controllers but if you happen to have this problem, here are a few ways to fix it. 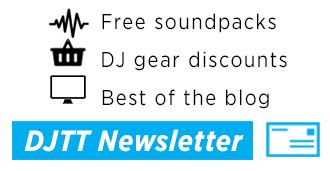 Vibration in clubs has plagued DJ gear for years with turntables and needles alike falling prey to poorly built DJ booths. 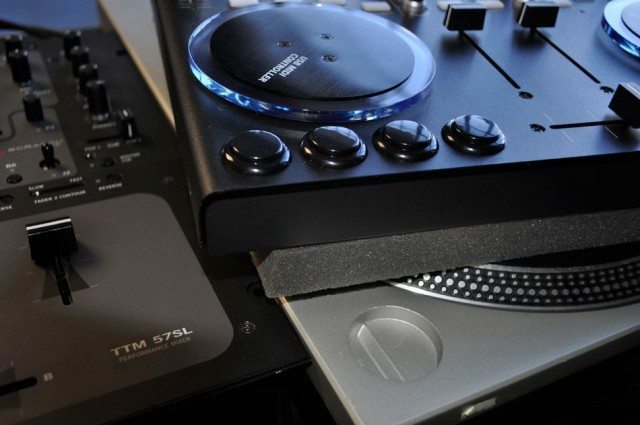 Various techniques have been employed to remedy the problem as it results in a serious problem when playing traditional vinyl: low end feedback. With DVS systems this is completely eliminated but controllers are now seeing issues as well. All controllers that have jog wheels are exposed to this risk, although some designs seem to be more susceptible than others. Here are the solutions we are aware of, in order of preference, based on the the least side effects. 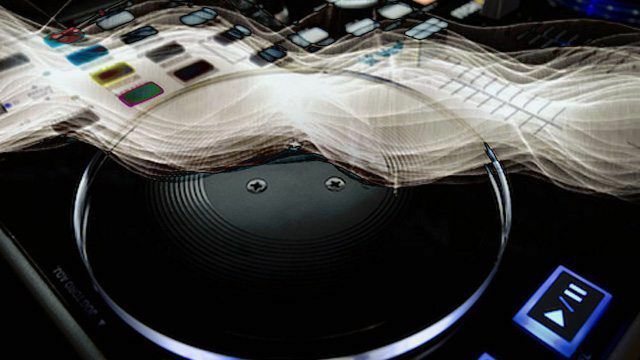 If planning on playing in a club, it is wise to bring along a thin layer of foam to provide a cushion of vibration. 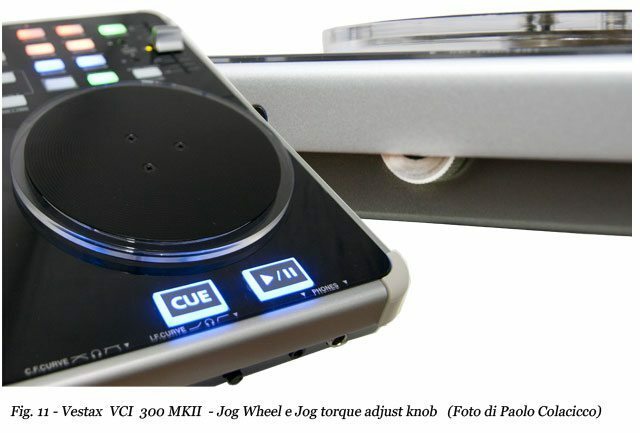 In almost all situations this will solve the problem of jog wheel rotation but can take a bit of room in your DJ bag. I particularly like the cushion because it also allows the controller to sit on top of turntable, which is often the only space available. Cons: Takes up room in the gig bag. 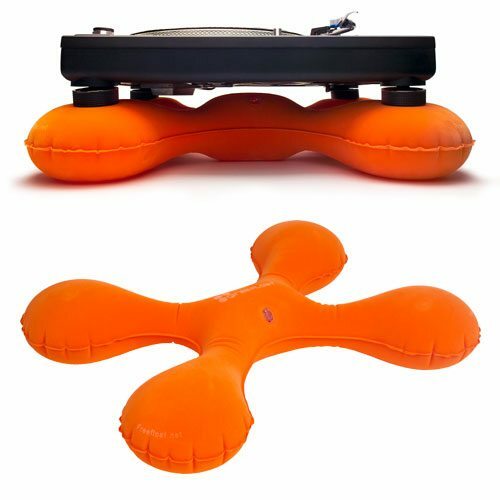 There is a unique product out there called the “free float” that was designed for turntables but might also work for controllers. It packs up smaller than a foam core, and may also provide additional cushion. The fundamental problem is when the low end vibrations become more significant than the natural mechanical resistance. In laymans tems, the bass gets strong enough to move the jog wheels on their own. This can be easilly improved by increasing the jog wheel’s tension. Newer models of the VCI controllers, for example offer the ability to tighten their wheels making it difficult for them to turn accidentally. Cons: Not available on s2, s4, and VCI-100. Changes the pitch bend response. 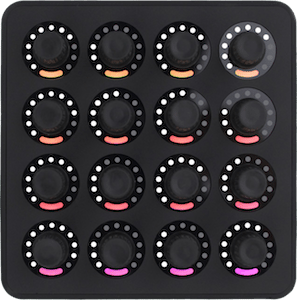 For the VCI-100 controllers, DJ TechTools offers a mode where you can put the jog wheels into “FX mode” controlling effects instead of the decks. In this mode, slight movements will cause no effect on the mix and keep things running smoothly. We are about to release a special s2 and s4 mapping that will also enable jog wheel effects seen in my NI videos very soon! 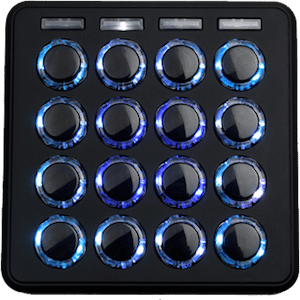 For many DJs that rely on sync and have quality beat grids, pitch bend controls may not even be required. In this case, you can go directly into the mapping files and remove the pitch bend commands entirely. 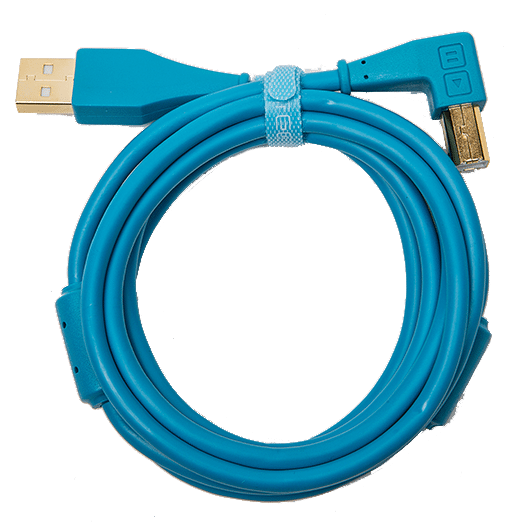 Pros: A permanent, non-hardware solution. Cons: Removes all ability to pitch bend during a set. 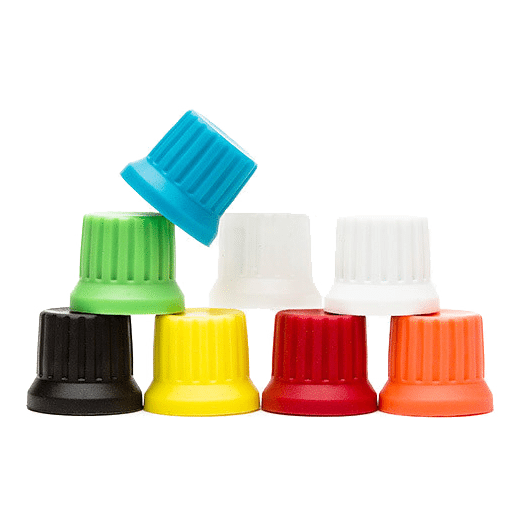 What models have you experienced jog wheel vibration with? How did you fix it?